Toddlers and babies are curious little people. They’re starting to explore the world and themselves and learning more about communicating with their grownups and peers. Music can help your toddler better understand all of these brand new experiences by giving them a valuable tool for relaxing, focusing, and expressing emotions. Music can support your baby as they begin to make connections with the world around them, learning both from their grownup, and also by seeing what the toddlers around them are able to express. Learning in a family environment with infants and toddlers together can give toddlers a sense of confidence as the "big kid on the block", and with children of different ages, it takes the pressure off of anyone to respond the same way others are responding (as they might feel impelled to do if they were all the same age), but rather allows everyone to explore the music in a natural way that is authentic to their individual nature, fostering creativity and taking "ownership" of the music with joy. Mixed Age Class Options at South Coast Music Together® for You and Your Toddler and Babies Are Welcome too!! 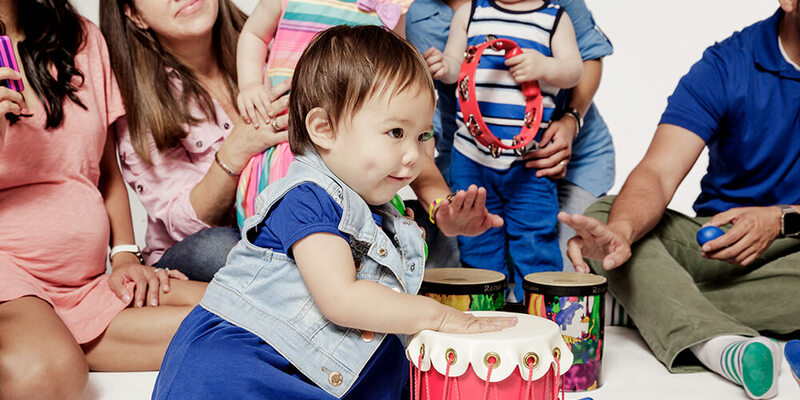 At a Music Together class, your toddler’s growing music skills are supported and challenged in a playful learning environment. Plus, making music enhances language, cognitive, emotional, social, and physical development. At a Music Together mixed age class, your baby will love taking in the music from both you and from the family environment around them. Bring your toddler and your baby to explore music in a family mixed-age class at South Coast Music Together! Sign up for a free demonstration class on our "Tune In" page, or check out our complete schedule of class days, times and locations on our "Schedule" page and register for the class of your choice!